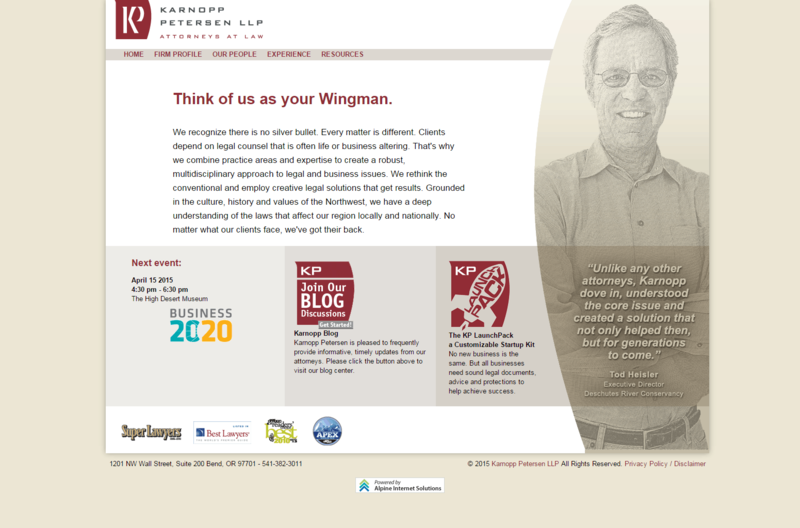 Karnopp Petersen rethinks the conventional and employ creative legal solutions that get results. KP needed a website to demonstrate the same. 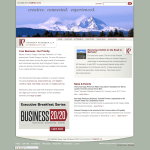 Like so many law offices, Karnopp Petersen manages a lot of lawyers--from Contact info, attorneys, expertise, industries, and case studies to downloading VCards, resumes and responding to RFPs online. KP needed to manage all of that information in one place. So they turned again to Alpine for a solution. As a long-standing member of the community, Karnopp Petersen isn’t just a resource for legal guidance. Alpine redesigned the website to include additional functionality. The site now can provide more for their clients and potential clients and yet is still easily managed by the firm itself.Clients today turn to their website for case studies, events, and articles. Alpine provided KP a way to to share this information online via a blog and social sharing. Alpine developed a responsive design for better optimized content across desktop and mobile devices. 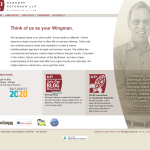 From whichever device, clients now have access to KP’s blog, attorney information, areas of expertise, and access to a client portal.The firm itself is now able to respond to requests for proposals online, reach out socially, and write informative and useful blog posts.All this in one place for the firm and one convenient and informative place for their clients. 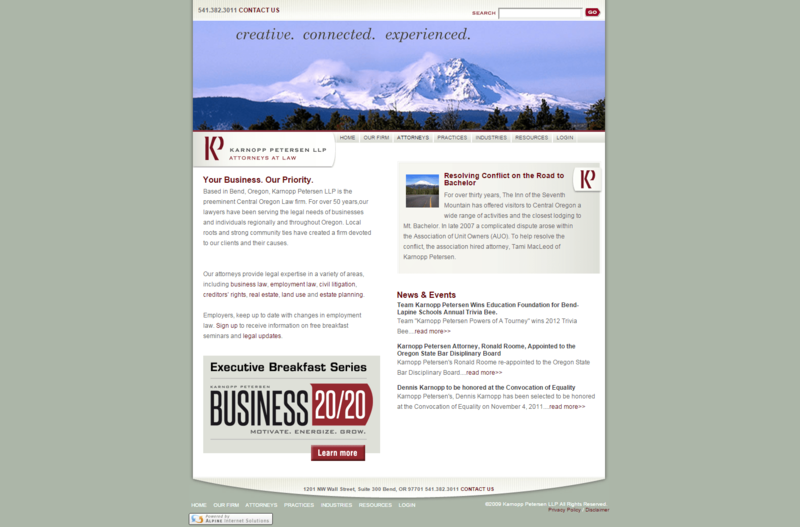 Karnopp Petersen LLP combines practice areas and expertise to create a robust, multidisciplinary approach to legal and business issues.They rethink the conventional and employ creative legal solutions that get results.Grounded in the culture, history and values of the Northwest, KP has a deep understanding of the laws that affect our region locally and nationally.